Welcome to Repatriation Group International! Our mission is to research, educate and assist developing countries to combat corruption and recover as much as possible of the billions of dollars/euros it costs them each year. 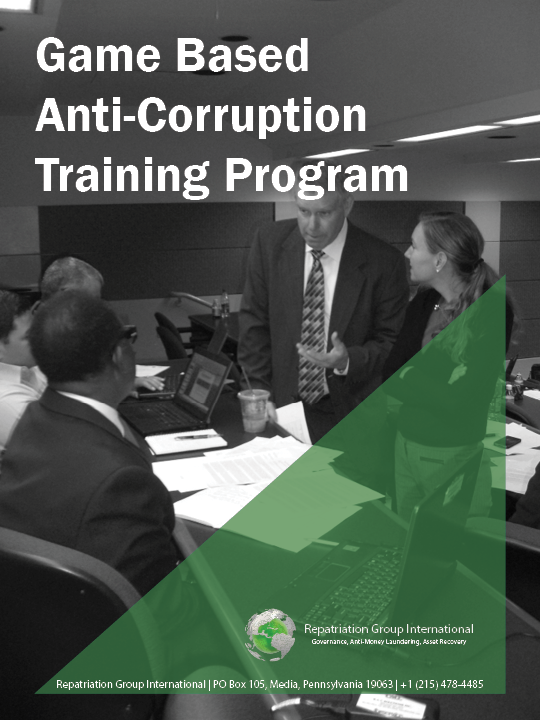 RGI’s founders have over 50 years of combined experience training law enforcement officials around the globe on anti-corruption and anti-money laundering strategies. Let’s not mince words: In the developing world, corruption is public enemy number one. Countries that tackle corruption and improve their rule of law can increase their national income by as much as four times in the long run and child mortality can fall as much as 75%. Repatriation Group International’s grant proposal to deliver Follow the Money, video game based training, to five developing countries.